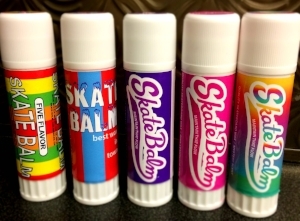 Earl Dorn created Skate Balm a few years ago. This young entrepreneur saw a need for a skateboard wax that you would keep with you all the time. Skate Balm. Skateboard Wax in a tube. The Originals take a few minutes to talk to Earl about the inspiration for his design. Originals is a series about different kinds of Artist. Earl Dorn started a skate brand called Skate Balm. Watch to see how this unique skate was started. Platform Distribution is the wholesale Canadian distributor for Skate Balm Skate Wax.